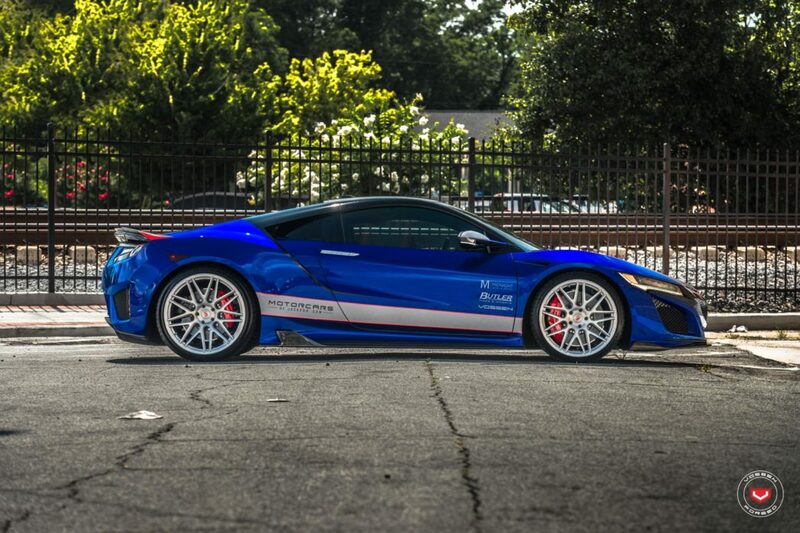 The newest Acura feature from Vossen matches its Precision Series VPS-314 wheels with a unique NSX. 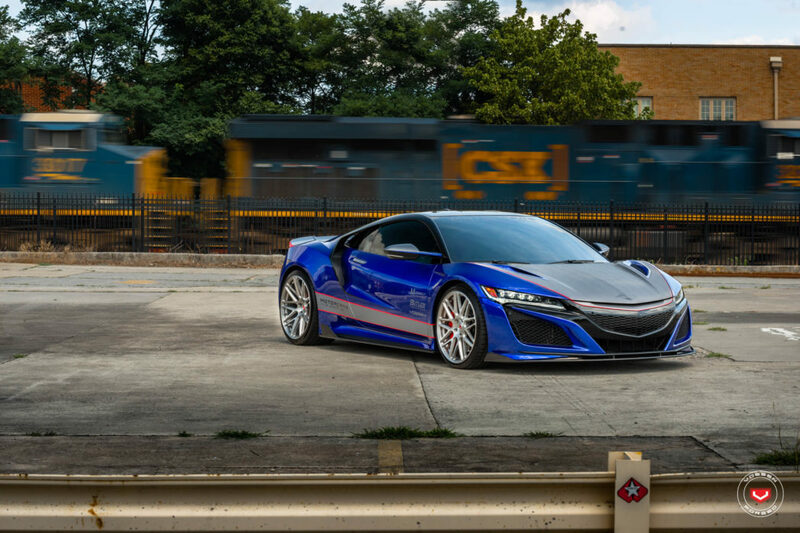 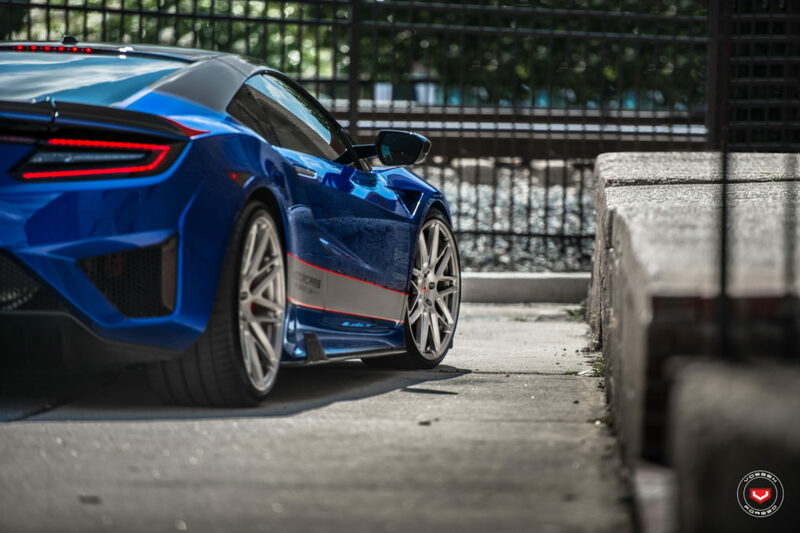 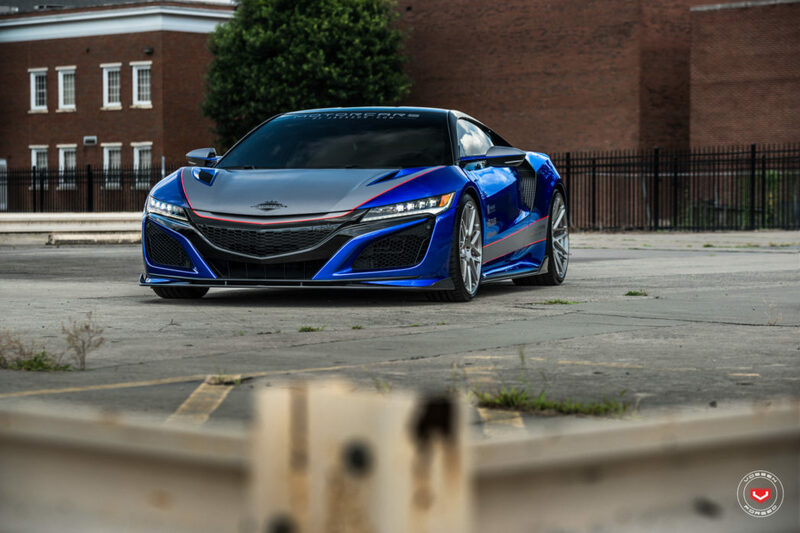 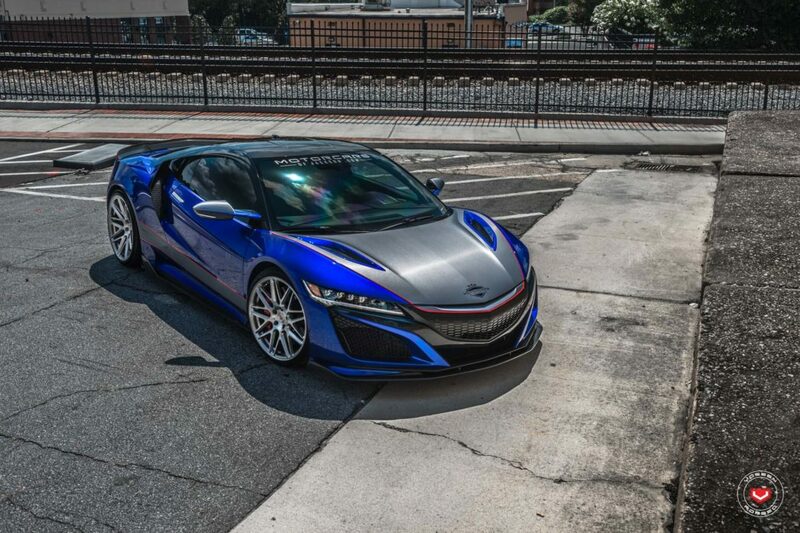 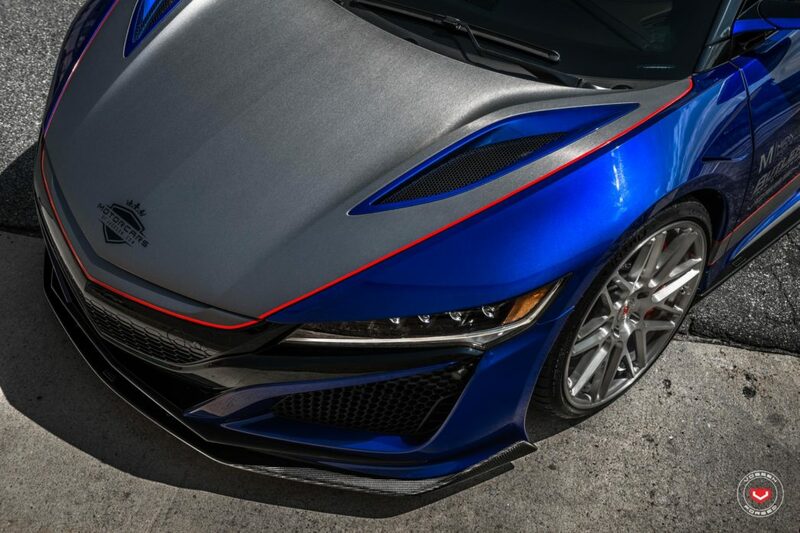 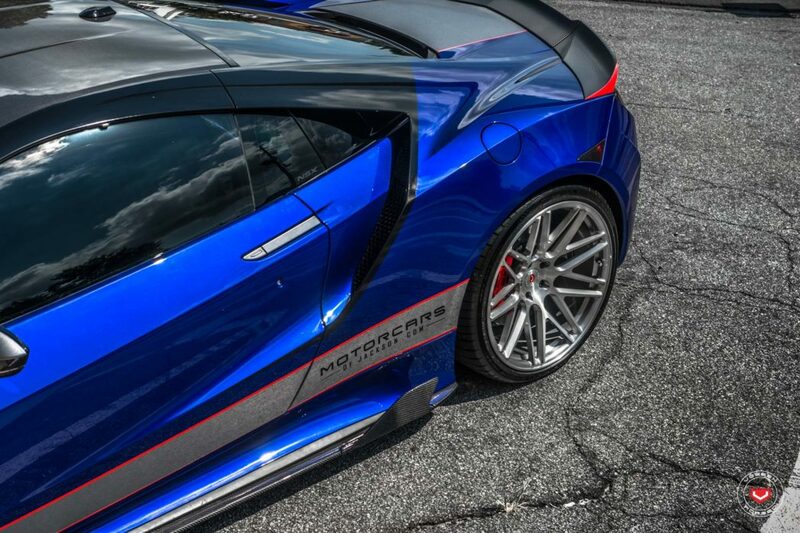 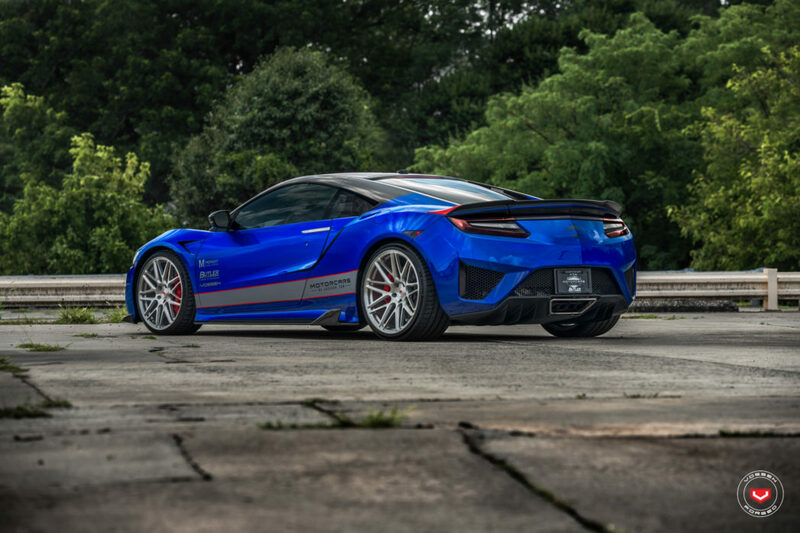 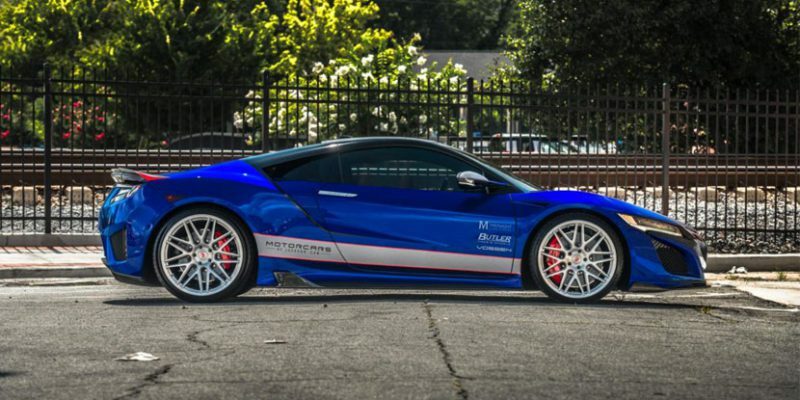 The custom blue/silver/red NSX is a collaboration between Motorcars of Jackson, Midnight Signs & Wraps, Butler Tires and Wheels, and of course Vossen. 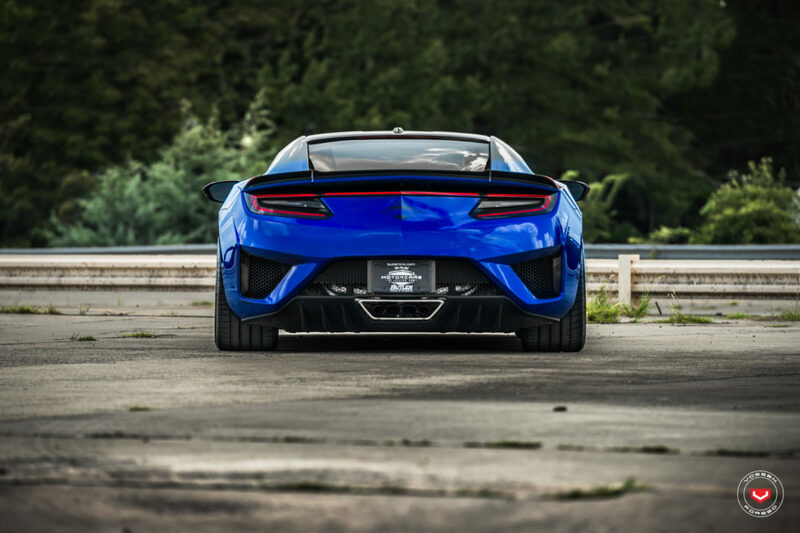 The kit, which consists of a front spoiler, side skirts and rear spoiler, is manufactured by AIMGAIN. 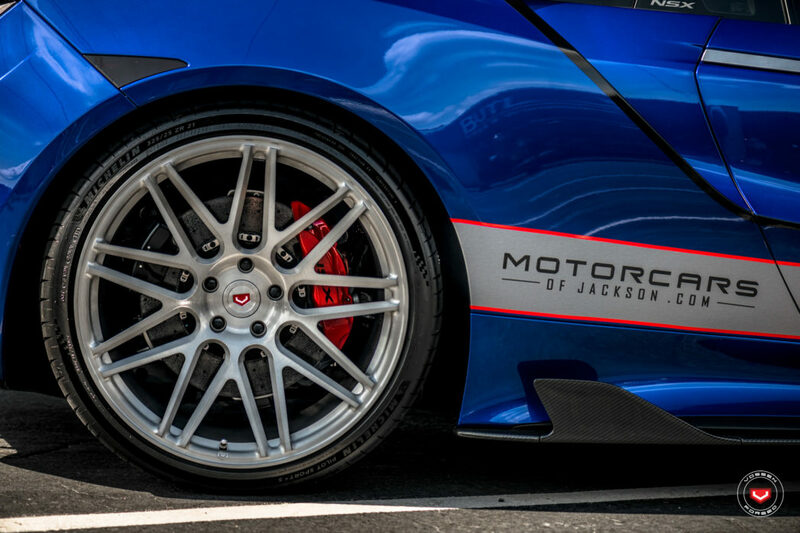 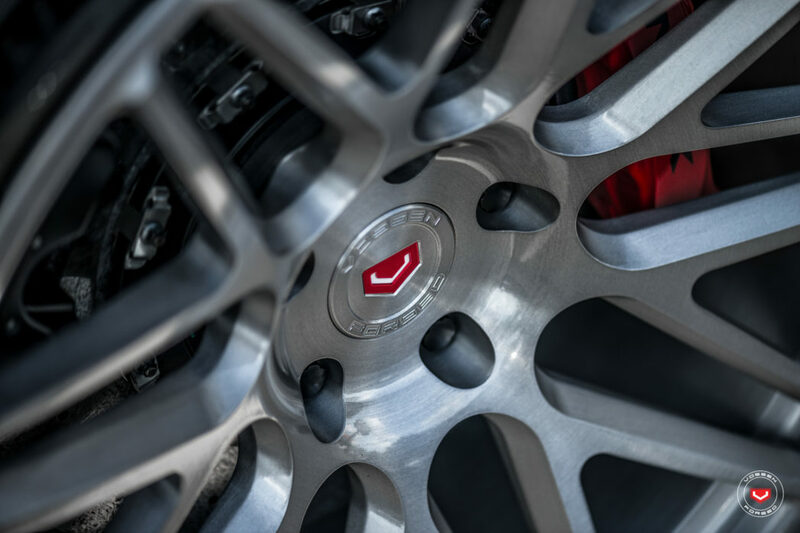 Check out the photos below and visit vossenwheels.com for the full set.